If I could say only one thing, I’d say The Black Cab is about London. More specifically, it is about my father’s London and also, in places, his father’s London. Born in 1950 to a bombed-out, post-war city, my dad first worked as an apprentice in the printing trade before he ended up doing ‘The Knowledge’ and becoming a London Taxi driver. Doing ‘The Knowledge’ is like reading for a degree in London. It’s a gruelling training process which all cabbies must go through to earn the coveted green badge. For this they have to learn 320 routes (or ‘runs’), memorising every road, street and lane between two destinations along with all the points of interest: hotels, monuments, civic buildings, police stations, hospitals, churches. It’s an enormous undertaking, and for years the walls of our house were covered with maps of London. The Black Cab celebrates the enormous commitment to the city that men like my father have made, but it also celebrates other professions, jobs and roles, from porters at Smithfield Meat Market, to excavators inadvertently digging up plague pits in the name of progress. It also briefly alights on my own time in the city when I worked in the misguided world of advertising in the fashionable district of Farringdon. But the poems also delve into mythology. The figure of the boatman, who ferried souls across the River Styx and into the underworld frequently occurs, mirroring the taxi driver above ground. And elsewhere, the poems make excursions beyond the M25, examining and celebrating the minute details of B roads and the eyesores of power stations. In a way, London spills out into the country which is populated with industry and ruins. I hope you get a sense of the past lurking menacingly beneath the surface. John Challis was born in London in 1984 and has lived and worked in the North East since 2010. 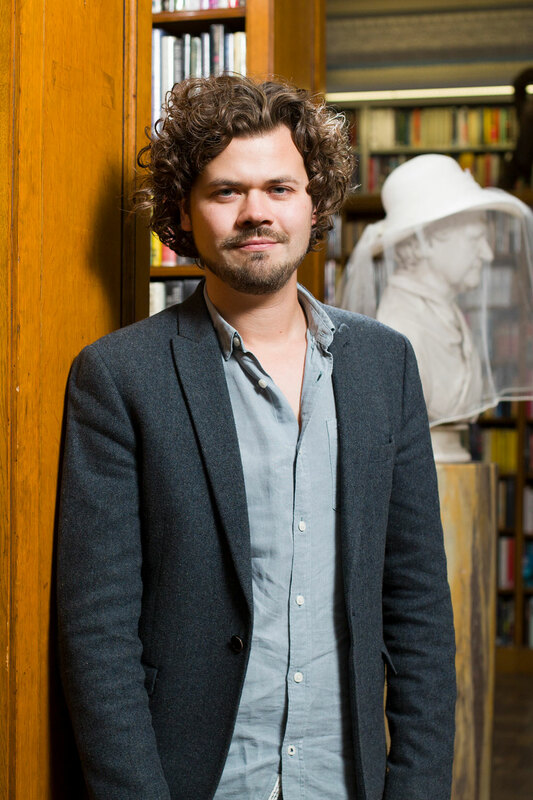 He holds a PhD in Creative Writing from Newcastle University and is a recipient of a Pushcart Prize. In 2012 New Writing North awarded him a Northern Promise Award. His poems have appeared on BBC Radio 4, as well as in journals and anthologies including The North, Magma, The Rialto and Land of Three Rivers (Bloodaxe). The Black Cab is his first pamphlet of poems. He lives in the North East and works at Newcastle University.